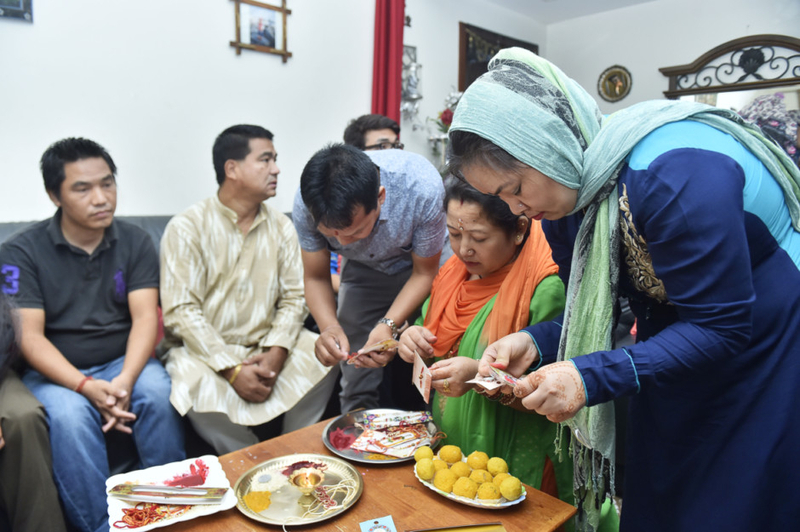 Dubai: As Indian expats in the UAE celebrated the warmth of brother-sister bonding on the occasion of "Raksha Bandhan" on Monday, it was also a special occasion for an annual reunion for a group of residents from two Himalayan villages. 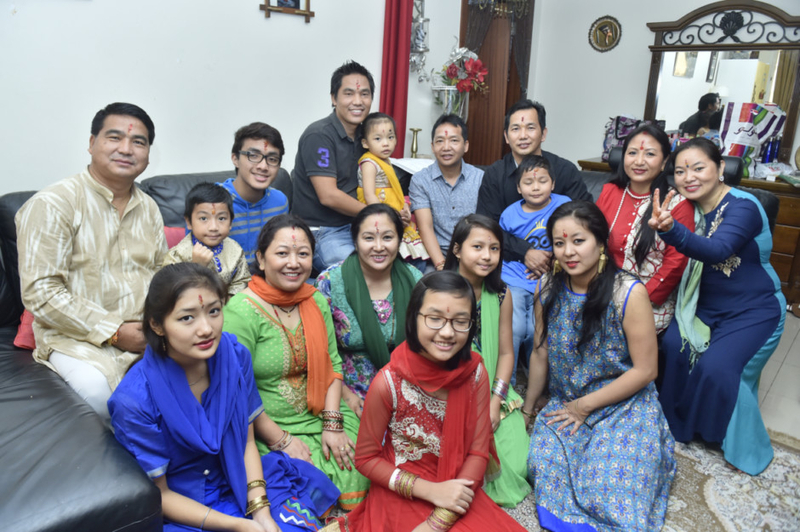 The Raypa and Budhathoki families living in different emirates are part of the small 30-member community from two villages on the Indo-Nepal border, Budi and Rapla. 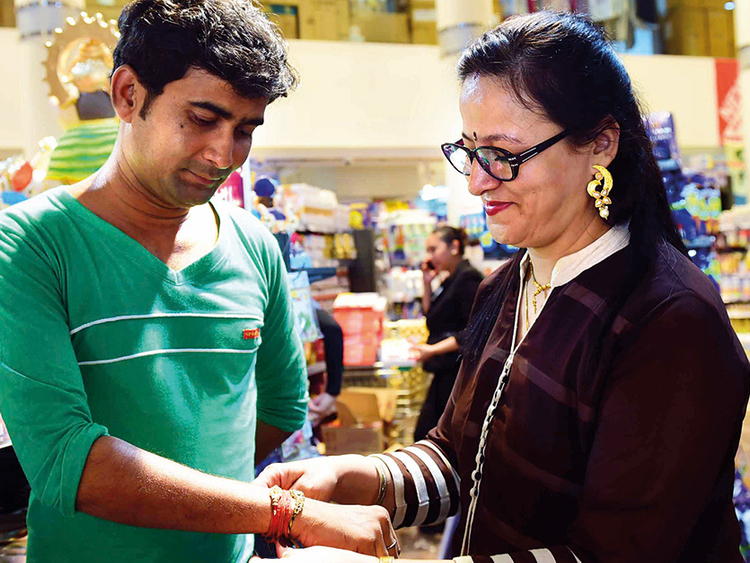 Meeting their brothers and sisters [even if they are only cousins] on Raksha Bandhan Day is a must for these family members who hail from an entirely different terrain. This day celebrates the “bond of protection” and is observed on the full moon day of the Hindu calendar month of Shravan which typically falls in the Gregorian calendar month of August. ‘Raksha’ means security and ‘bandhan’ means a commitment. On this day, sisters tie the sacred thread or ‘rakhi’ on the wrist of their brothers, symbolising the bond between them. The tying of the thread is also an unwritten pledge undertaken by the brother to protect his sister while he presents her with gifts in return. 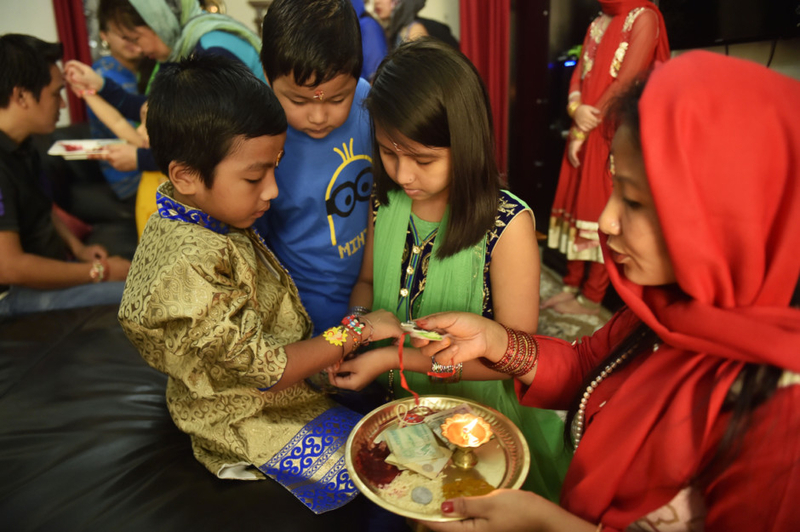 Thousands of Hindu siblings celebrated the festival during the day as they considered the late evening hours as inauspicious for the rakhi tying ceremony due to the lunar eclipse on Monday night. The Shiva temple in Bur Dubai witnessed a heavy rush of devotees, said Prakash Chhabria, the head priest. “Around 1,500 people had come to the temple in the morning hours. They prayed for their brothers and tied the rakhis,” he told Gulf News. 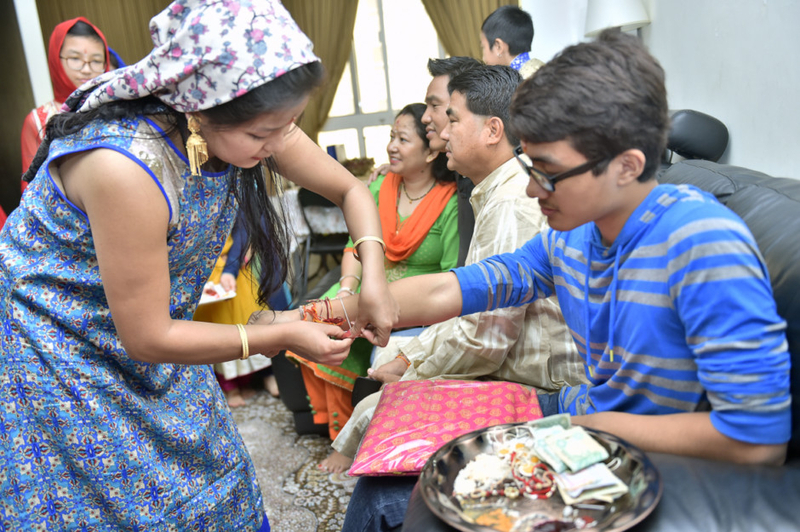 Several expats also sent rakhis and gifts to their siblings abroad via courier and online orders. 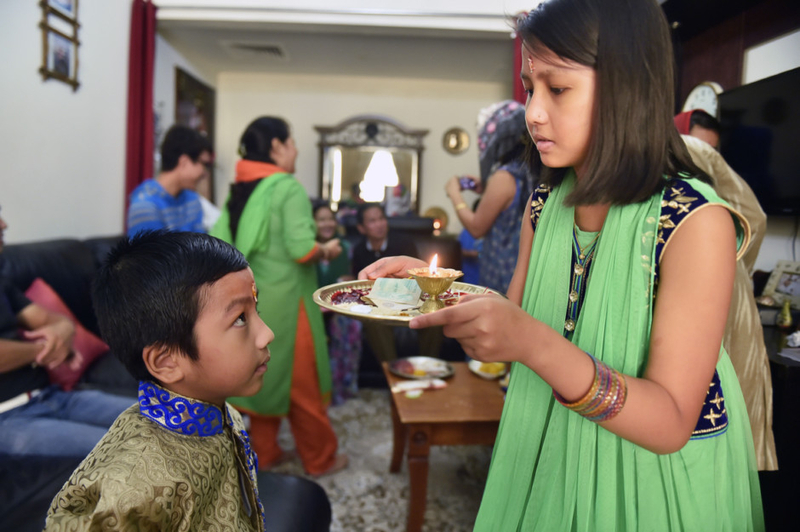 For the Raypas and Budhathokis, the day began with festivities at the home of Sukum Raypa in Dubai. Nine sisters and seven brothers from three generations had a special reunion on the occasion. “We try to meet for other festivals like Diwali and Holi also. But not these many people will be present as everyone is busy and has their own celebrations. But for Raksha Bandhan, it is a different case. 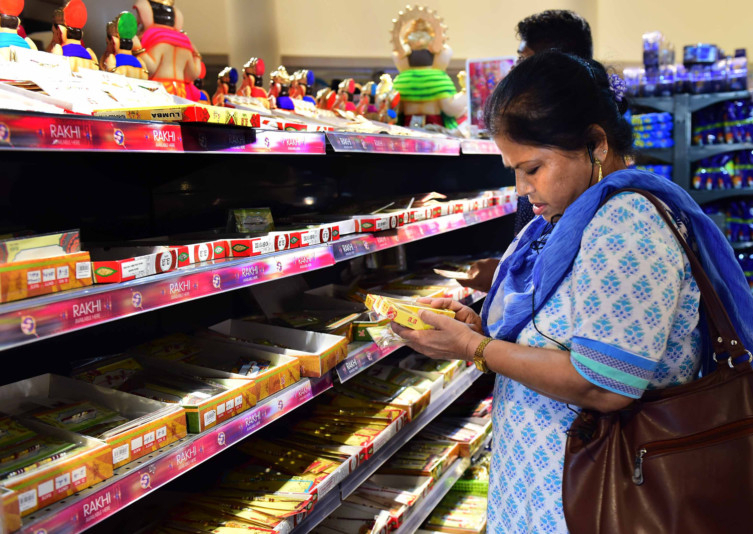 We make it a point to get together every year to celebrate it,” said Raypa, one of the early migrants from his village Budi in Uttarakhand to the UAE. His wife Basan said the day witnesses grand celebrations back home. Birendra Budhathoki, a marketing professional with a jewellery group, said the ceremony brought back memories with his four sisters back home. “Two of them are living in Budi and two in Rapla. I missed them when my cousin Poonam tied the rakhi for me today. But I am happy that she is here at least,” he said. The women from the Raypa and Budhathoki families also visited the temple and prayed for the welfare of their brothers.